This app is slowing down your Android - Toronto, Markham, Richmond Hill | SunTel Technologies inc. Most of us know that apps can drain battery and slow down your phone. But what if there was a single app that was sucking 20% of your battery, and potentially slowing its speed by 15%. For Android phone users, this looks to be the case. And unfortunately for all those social medial lovers out there, the app responsible goes by the name of Facebook. "Recently I noticed some performance issues on multiple phones, and had started paying closer attention to what exactly was causing these problems. When Facebook turned out to be one of the more egregious resource hogs, I uninstalled it to see how things improved...Not only did my performance issues go away entirely, but I discovered I didn't actually lose any of the Facebook features I cared about by uninstalling the app." Russell Holly, however, is not the only one who’s noticed a difference in Android performance after uninstalling Facebook. 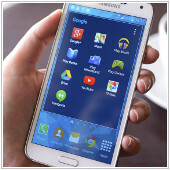 Since his finding, there have been numerous reports from tech writers and Android users across the globe. Furthermore, some users have also noticed a 15% boost in speed once they uninstalled Facebook and the Messenger app. As one of the Android’s most popular apps, whether or not to install or uninstall Facebook can be a tough decision. However, the battery benefits are so big that it’s worth exploring alternate methods to get your Facebook fill. One is to simply uninstall Facebook and keep the Messenger app. This will not give you the full 20/15% boost, but will provide a noticeable difference in both speed and battery life. Alternatively, you can also access Facebook via Google Chrome or your other Internet browser. By doing this, you can still use most of the same Facebook features (with the exceptions of a few such as location-based functionality and Instant Articles, among others) and still get the max boost to your battery and speed. As for Facebook, this isn’t the first time the app has been accused of slowing down a phone. Last October, the app was found to drastically drain the iPhone’s battery as well. Facebook promised to work on correcting that issue, and have a similar response to this, "We have heard reports of some people experiencing speed issues stemming from our Android app...We are looking into this and will keep [users] posted. We are committed to continuing to improve these issues." So while you’re pondering whether or not to uninstall Facebook on your phone, feel free to shoot us any of your other Android questions or concerns. We are happy to help resolve any of your Android or other IT related issues.